Add some style to your wardrobe with this beautiful shrug. It will go fabulously with any cami or halter top. 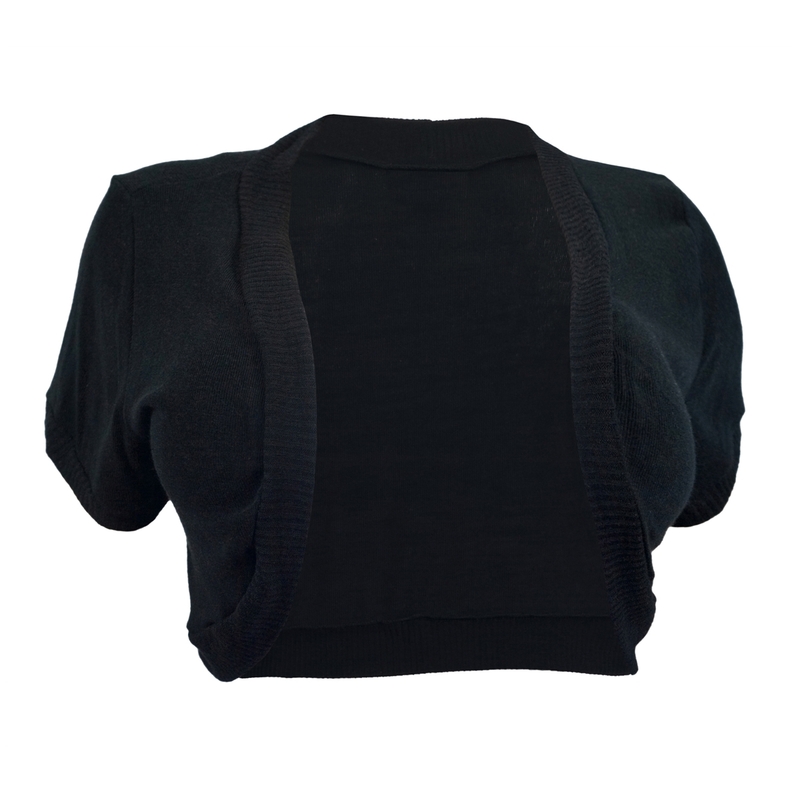 Plus size shrug features short sleeves with open front design. Ribbed trim and cuffs. Ribbed knit fabric. Available in 1XL=Size 13/14, 2XL=Size 15/16, 3XL=Size 17/18.